Nashville is great at home. Also, the catfish thing won’t die. Jun. 01, 2017, 9:15 a.m. The Penguins have a 2-0 lead in the 2017 Stanley Catfish Final after a 4-1 home win Wednesday night. But as mentioned here in the wee hours after Game 2, don’t start putting out parking chairs to reserve your spot for the championship parade just yet. The series isn’t over. 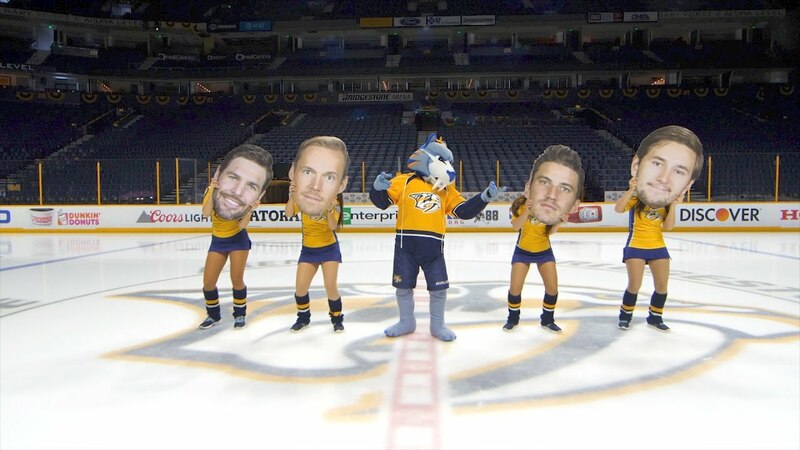 Here are all the reasons Nashville still has a shot. After going 24-9-8 at home in the regular season, the Predators are an even more impressive 7-1 at Bridgestone Arena so far in the playoffs — the only loss coming in overtime of Game 4 of the Western Conference Finals when P.K. Subban accidentally deflected a shot past Pekka Rinne. The Predators are tough to beat in Nashville. The fans are loud and many of them are armed with whiskered fish that they can pull from their pants and hurl to the ice at any time. Of course, even if the Predators win all three remaining games in Nashville, they’ll still have to win a game in Pittsburgh to take the series and overcome this bit of history. It won’t be easy. But the Predators can still turn the series around if they just take it one game and fish at a time. Nashville is outshooting the Penguins 64-39 over the first two games and they have mostly dominated puck possession, too. But the Penguins have a 2-0 lead in the series and a 9-4 lead in goals scored so far. However, the magic of analytics is that the goals and wins eventually come when a team dominates the peripherals. Sometimes it just takes a little time. The Capitals are currently sitting at home waiting for those statistical laws to kick in. Any day now. Any day. But maybe it will happen a little quicker for the Predators. Two weeks ago, Pekka Rinne and Marc-Andre Fleury were probably the two favorites for Conn Smythe. Fleury now has a better shot at the honor because he’s having a far better Cup Final than Rinne while sitting on the bench with his hat on backwards. But surely Rinne will have to stop a shot or two soon, right? He’s a 6-foot-5, 204-pound man covered in thick padding. At some point a Penguins shot will just happen to hit his body and not slide through him into the net, or rebound off his leg right to Jake Guentzel for yet another goal, right? The odds seem in his favor. Not that Subban is on the Predators to provide goal-scoring, but his last goal in these playoffs — disallowed goal in Game 1 notwithstanding — was that own-goal in Game 4 of the Western Conference Finals. That’s not ideal for Nashville. His play can definitely improve and he’s already predicted a win in Game 3: “We don’t lose in our building. We’re going back home, we’re going to win the next game, and then we’ll see what happens from there.” Those are fighting words uttered not long after an actual fight. The officiating has been bad this series, but per a long and proud NHL tradition, it’s been bad for both teams. However, don’t be surprised if the refs start to give some calls to the Predators in Games 3 and 4 now that they’ve been called out by international recording superstar and not-at-all-biased-hockey-observer Carrie Underwood. Not to get too deep into the analytics weeds here, but the Penguins rookie is currently hitting on 75 percent of his shots in the Cup Final and 28.6 percent of his tries in the postseason. That’s a better playoff shooting percentage than those of both James Jones and Matt Barnes, two men who will play in the NBA Finals. Surely everything Guentzel throws at the net will stop going in at some point, right? Maybe even one of his shots will be stopped by Rinne? Yeah? It’s at least possible. 7. The world is terrible. There is a strong case to be made that the world is terrible right now (outside of the Penguins being up 2-0 in the Stanley Cup Final, of course! Hooray!). And if you believe that everything truly is awful, then you have to fear that the Predators will come back and win the series and bring joy to the people who produced this video. It’s a future too terrible to even imagine. I’d rather have my guts torn out and thrown on a sheet of ice in front of 19,000 people than see that happen. Let’s Go Pens.